Click on an officer's name to send them an email. President Elizabeth Jones Contact for general questions or issues regarding MEPSA. Vice President Stephanie Michel Contact for promotional or public relations concerns. Secretary Carissa Kirksey Contact regarding any questions pertaining to MEPSA. Treasurer Carolyn Bailey Contact regarding MEPSA financial information. Donations Coordinator Shana Bobbitt Contact if you would like to donate something to MEPSA. Judge Coordinator Alyssa Bailey Contact regarding show judges or if you would like to volunteer to judge. Novice Show Coordinator Marie Phillips Contact regarding the Novice Show Series. Championship Show Coordinator Elena Lemm Contact regarding Championship Show information. Championship Show Book Kristen Taylor (Williams) Contact regarding the Championship Show Book. Website Coordinator Jennifer Cole Contact regarding the MEPSA website. Our undying gratitude to the many selfless people who have given their time and tears to making MEPSA what it is today! 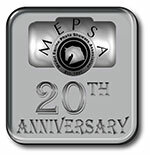 And a special thank you to the many wonderful people who have held a MEPSA Qualifying Photo Show, Novice Show or helped judge the Championships these past 17 years, and to our many kind and generous donors! Without you, none of this could be possible! Thank You! Cheryl Wood was also the Publisher of Showtime, MEPSA's official publication during the early days. The mission of the Model Equine Photo Showers Association is to serve as an inclusive organization to promote photo showing in the model horse hobby. © 1997-2019 MEPSA. Text and images on this site may not be copied, reproduced or used in any other manner without written authorization. Questions about this site should be sent to the webmaster. For general MEPSA or specific program questions, please see our Officers page.